Teeth grinding, aggressive brushing, abrasive foods, and acidic beverages can all take a toll on your tooth enamel. This thin, hard layer of protective material shields your teeth from painful temperatures and safeguards them while you’re chewing. Because enamel has no living cells, the body cannot repair damaged enamel. Once it chips or cracks, some restoration treatment is needed. How your dentist treats enamel erosion depends on both the cause of the damage and the severity. 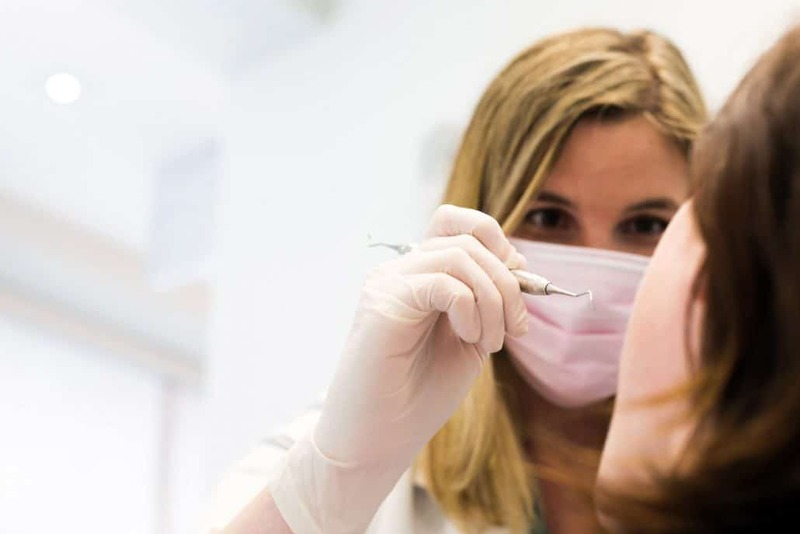 During your consultation at First Dental in Sugar Land, Dr. Imrek will carefully evaluate the severity of your condition. Following are some treatment options to restore your gorgeous smile. If enamel loss is not significant, bonding can be used as a restorative procedure for teeth that are chipped or cracked. Dr. Imrek prepares the tooth by lightly etching (roughening) the surface and applying a bonding liquid. He then applies a plastic resin and sculpts it into the desired shape. Once the resin sets, it’s trimmed, smoothed, and polished to produce a natural appearance. Dr. Imrek often completes the bonding procedure in a single office visit. Bonding typically lasts three to five years before needing repair. Veneers are very thin shells of ceramic that bond directly to the front surfaces of the teeth. They create a beautiful, natural-looking smile, and are especially helpful when enamel damage is extensive or more than one tooth is involved. Porcelain veneers are highly resistant to stains from coffee, tea, wine, and cigarettes. Dr Imrek works with a dental lab that provides a lifetime warranty on all porcelain veneers, assuming they’re cared for properly. Veneers are a very popular and successful restorative option. If you’re concerned that tooth enamel loss is marring your smile, please call or visit First Dental in Sugar Land today to schedule your appointment with Dr. Imrek. We look forward to helping you achieve a healthy smile that is both beautiful and functional.